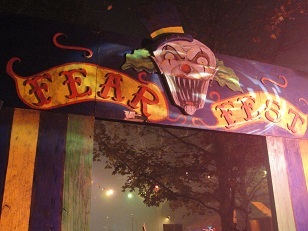 Ranked as one of the best haunted theme park attractions in the world, Kennywood becomes a place for thrills and chills alike during Phantom Fright Nights. Kennywood’s tradition of closing for each season was always Labor Day until 2002 when Kennywood introduced the Halloween event. Phantom Fright Nights was supposed to happen in 2001, but for various reasons did not happen until a year later. The first year of Phantom Fright Nights was really a test to see how popular this Halloween event would become. The popularity of Phantom Fright Nights quickly grew, and the trend showed that Saturdays always were busier then Fridays. All of the bright white lights that shined on buildings, midways, rides, etc. during the regular season are re-lamped in Halloween colors such as orange, green and purple for Phantom Fright Nights. Even the park’s fountains are dyed with color dye! If you haven’t visited this event yet, we encourage you do so, because everything is totally different from the regular season. Even the park’s bathrooms have an eerie feel about them. 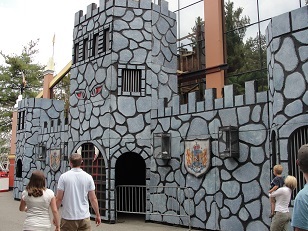 It’s a HUGE haunted house that you don’t want to miss and it’s only at Kennywood! Noah's Ark remained unchanged from its summer experience during the first season of Fright Nights, but quickly became a haunt in which all of the animals were out to get you. 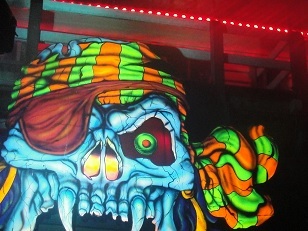 In 2011, Captain Skully found a new home on the Ark, evicting its former crew completely. With the 2016 Ark renovations, who knows what surprises await inside the ancient boat this year? Ark in the Dark is an upcharge attraction that is open during the last hour of each night. Alone or with one other person, try to find your way though Noah's Ark in pitch black...that's right; with the exceptions of the staircases and moving floors, there are NO LIGHTS of any kind inside the Ark during your journey! Dark Shadows began its life as an overflow haunt in the gargantuan Pavilion 5 behind the Turnpike. 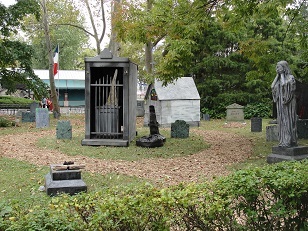 In 2008, it moved to its current location as a permanent haunt. Low visibility caused by fog and darkness make for a disorienting, perplexing trip through this minimalistic yet highly effective haunt. Watch your step or you may never make it out of the shadows! This old mine town went to ruin following the end of a gold rush that kept it alive. The ghosts of its former residents continue to haunt the area. Be careful around the train station! 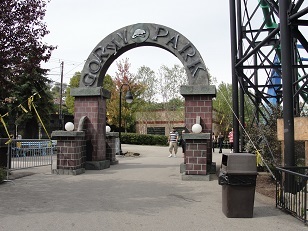 Half of Gory Park was dedicated to Clown Alley in 2006. The following year, the carnival gone horribly wrong moved to its current location. Don't let the clowns know that you're afraid of them...and be careful of the shady sideshows! This is not your typical average playground. 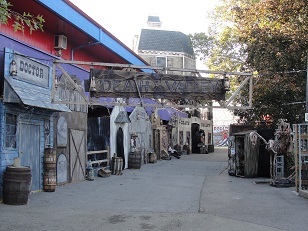 Lost Kennywood has been transformed into the ghetto, decrepit "Gorky Park." The rats from the Exterminator have taken over the park along with street gangsters, bad cops, and litter everywhere! 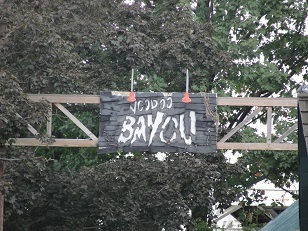 This haunt is an original from the first season of Phantom Fright Nights. It's one of the shorter haunts, but don't let that fool you. Once you're inside of this spooky cemetery there's no coming back out alive! 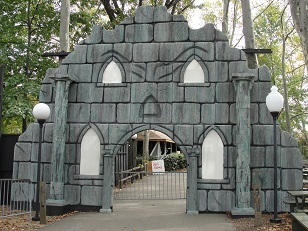 The Manor is Phantom Fright Night's signature haunt and one of the first and longest-standing. The historic restaurant has been taken over by the dead. These guys have been trapped inside the Parkside Café for a hundred years, and now they're out to get revenge, so watch your back! 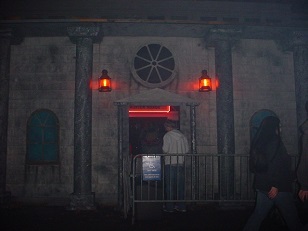 The Villa replaced an original haunt, Creeper's Crypt, adding a new dimension to the dungeon atmosphere. These vampires aren't looking for food. The only food they are looking for is you! Brave a tour with Swamp Canoe And Raft Excursions (S.C.A.R.E) as you wander through the creepy canyons and caverns that the ghouls call home. Be sure to wear your best hiking shoes...it's all uphill from here! Are there rides open like roller coasters during Phantom Fright Nights? Yes! All coasters and the majority of rides are open for Fright Nights! Phantom Fright Nights is not recommended for children under 13 years old. 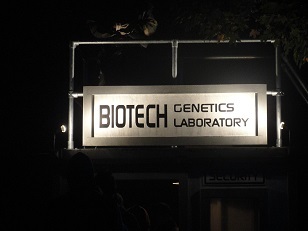 Are Fright Nights accessible for individuals in wheelchairs? They only give rain checks if they close early. I have a raincheck from this summer. Could I use it during Phantom Fright Nights? I don’t believe they are good for Phantom Fright Nights. The valid dates should be printed on the ticket if you want to make sure.